Statcounter provides customisable hit counters, visitor tracking, web analytics and website stats for MyBoomerPlace. Log into your MyBoomerPlace.com account (opens in a new window). Enter your StatCounter code under "About Me". Note: My Boomer Place allows the HTML-only version of StatCounter code. Certain stats will not be available such as referring links, keyword analysis, and page titles. StatCounter is now active on your My Boomer Place profile and will immediately begin recording visitor information. 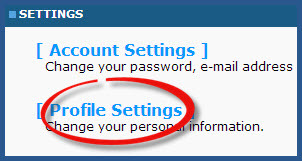 Sign up for a Statcounter account using our MyBoomerPlace installation guide. You can reinstall MyBoomerPlace on your Statcounter project.